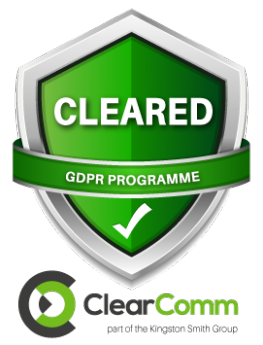 We have updated our processes and practice to ensure that we comply with the new General Data Protection Regulation (GDPR), which has now come into effect and replaces the Data Protection Act (1998). However, by making this change and only contacting you in ways you choose, we will be able to communicate with you more effectively and ensure you are receiving the information you want in the way you want to receive it. All employees of the Gauchers Association with managerial or supervisory responsibilities are responsible for ensuring that good personal data handling practices are developed, reviewed and encouraged within The Gauchers Association, as per their individual job descriptions. Sarah Allard is the named Data Controller for The Gauchers Association and reports to The Gauchers Association's Board of Directors and is responsible for ensuring that The Gauchers Association is GDPR compliant. We are committed to ensuring that your information is kept secure. In order to prevent unauthorised access or disclosure, we have put in place suitable physical, electronic and managerial procedures to safeguard and secure the information we collect. What if I don't want to hear from the Gauchers Association anymore? You have the right to request access to the information in respect to personal data and how this is recorded by The Gauchers Association; the Subject Access Request Procedure outlines how The Gauchers Association will comply with the requirements of the GDPR regarding this.